WINDHOEK - Chalton Hwende, a Member of Parliament for Zimbabwe’s Movement for Democratic Change (MDC) Alliance, is in Namibia amidst reports in his home country that he is wanted by police in connection with recent protests in which about 12 people died. Hwende, the Deputy Treasurer of the MDC-Alliance that lost a presidential election in Zimbabwe late last year, is in the country and has asked Inspector-General of the Namibian Police Sebastian Ndeitunga for protection. According to media reports in Zimbabwe, the Zimbabwe Republic Police have launched a manhunt for at least 27 MDC-Alliance officials and activists, including their civil society partners, for allegedly organising #Shutdown Zimbabwe protests which later turned violent. 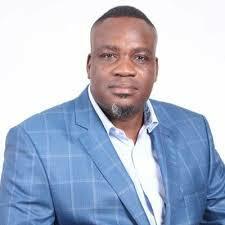 Although it is suggested in some circles especially in Zimbabwe that Hwende is in hiding in Namibia, his Namibian lawyer Norman Tjombe said the opposition MP is in the country to visit his relatives during the period which the Zimbabwean parliament is in recess. He is due to return to Zimbabwe in early February 2019, Tjombe said in a letter to Ndeitunga. According to media reports in Zimbabwe, suspects on the police wanted list include, activist Promise Mkhwananzi, Crisis in Zimbabwe Coalition (CiZC) chairperson Rashid Mahiya, Hwende and party spokesperson Jacob Mafume. Police spokesperson Assistant Commissioner Paul Nyathi was quoted saying they wanted ‘to interview’ these people with regards to the violent disturbances. Tjombe’s letter to Ndeitunga, dated yesterday, said Hwende needed protection against unlawful abduction and the possible rendition to Zimbabwe at the hands of Zimbabwean Central Intelligence (ZCI). “Should our client not be afforded the necessary protection, our client will not hesitate to approach the High Court of Namibia on an urgent basis for appropriate order, including an interdict,” reads Tjombe’s letter. Tjombe said, as publicly known, Zimbabwe maintains the death penalty for offence such as treason, which is another reason that Hwende feared returning to Zimbabwe, especially at the time of the brutal security clampdown in response to the protest of the fuel increases. “In the course of January 2019, our client was informed, through reliable sources, that members of the Zimbabwean intelligence agency, namely the Central Intelligence Organisation (CIO), travelled to Namibia to abduct and rendition him (Hwende) to Zimbabwe where he is apparently wanted for treason, incitement to commit public violence and other charges,” further reads the letter. “According to the information, the members of the CIO already arrived in Namibia on or before 28 January 2019,” added the letter.